I am a 38-year old woman from Massachusetts. I read your first book and loved it. You mention God a lot throughout the book. May I ask you: What do you think about religions in general? Are you catholic? What are some of the things that you do for spirituality? I was brought up catholic, but do not enjoy going to church at all. I always try it, every lent, and even then I cannot comply with the promise of going to mass every Sunday. I don’t know why I do it, catholic guilt, perhaps–what a vicious circle, uhh? Do you believe in Jesus Christ as the son of God? I have a brother who says he was just a prophet; another one, who says he does not believe in God; and yet another one who is extremely religious; and my father (who died three years ago) used to be an extremely spiritual man whose faith in God and himself was contagious, but not a churchgoer either; and finally, my mother has a lot of faith in God, which she has passed onto me (not a churchgoer either). And one last question: What do you think of the Bible? Please do not let this be a priority at all. I will be delighted if I ever get a response from THE WIZARD. Thank you. In general, I detest religion. (So did Jesus, by the way. In every instance that he uttered the word “Beware,” he was warning his followers about the dangers of religion.) Basically, religion is man’s attempt to earn God’s approval and it usually just makes the religious person feel superior to other people. Jesus did not die to establish the Christian religion. I’m not sure what I do for spirituality. I think it’s just part of every moment of every day. Unfortunately, your brother is wrong. It is impossible that Jesus was merely a prophet or “just a good man.” When we read what Jesus said, we must conclude that, 1. what he said about himself wasn’t true and he knew it wasn’t true, making him a charlatan and a liar, or, 2. it wasn’t true, but he thought that it was true, making him a delusional crackpot, or, 3. he was telling the truth and he knew it was the truth, making him the son of God and the savior of all mankind. In the first chapter of John’s gospel, we read “In the beginning was the Word, and the Word was with God, and the Word was God.” A few verses later, it says, “and the Word was made flesh and dwelt among us.” You should read it. Your last question, “What do you think of the Bible?” is actually the most difficult one for me to answer. You see, many people in America are guilty of what I call “Bible worship.” Yes, I do believe that what the Bible says is true, but I disagree with those people who believe that we should dissect the scriptures and then argue about doctrine. I find it extremely interesting that for the first 1,500 years after Jesus rose from the dead, it was enough, in the eyes of God, for people to simply be told the story of Jesus and put their trust in him. The public had no real access to the Bible until after Gutenberg invented the printing press. 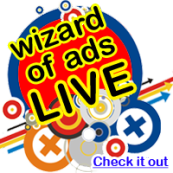 Do you have a copy of The Wizard of Ads handy? Read page 17 and you’ll see where I point out that all the elements required to build a printing press were available “at the time of Christ.” If the recorded scriptures were essential to the salvation of mankind, then Jesus would certainly have told his followers how to build a printing press and they would have immediately started shipping Bibles around the world. In Genesis, God speaks a universe into existence and then turns it over to Man, telling him to “rule the earth and subdue it.” But Man obeys Lucifer. This is a huge problem because God had given Man total authority over all the earth. The thing to remember is that Man was and is the legal agent of the Earth. The world is a mess because God is NOT in control. We are. Notice that Lucifer said that all the kingdoms of the world had been “given” to him. By who? By Adam, whom God put in charge! The point I want to make is this… If what Lucifer said to Jesus was not true, then it would NOT have been a temptation. It was true, and Jesus knew that it was true. But I get ahead of myself: Let’s go back to before Jesus was born as a man: Since God now found himself “on the outside,” he needed a partner “on the inside.” This is where the whole Abraham thing happens. Are you beginning to catch on? God needed the legal right to send Jesus (who was His Word “made flesh,”) to die for the sin of all mankind, and God gained that legal right by entering into a reciprocal partnership or “covenant” with a man named Abraham. I could go on and on, but it all boils down to this: The world is spinning out of control because we’re in charge, not God. The world is full of cruelty and hunger and disease and sadness because we’re in charge, not God. Yes, I believe he was who he said he was. As a matter of fact, I’m betting everything on it.